Saturday 23 July 2016. Photos and Videos. Most of today was spent on a public bus (first class) trip from Phnom Penh to Siem Reap which left at 8.45 am and arrived around 2.45 pm. Nothing major occurred on the bus trip, the free included wifi helped kill sometime, however two tour members Chris and James had to fly directly to Siem Reap due to illness. At first I thought this meant we wouldn’t do much today but I was wrong starting with a Tuk Tuk ride during a downpour (see video). 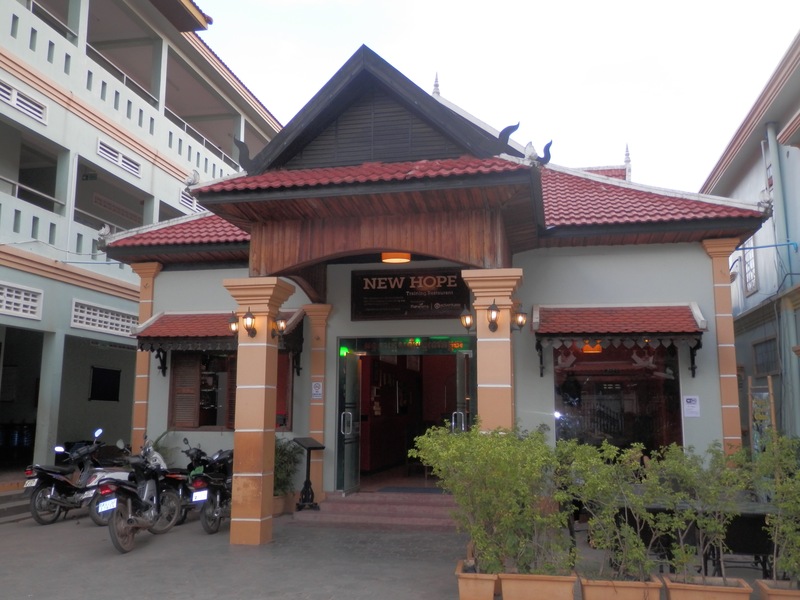 We visited a G Adventures community support project the New Hope Vocational Training Restaurant. New Hope provides education and health care to local children whose parents can’t afford it. They have over 800 students right now and on a typical day see 50 patients. They also financially support 294 families with food and money as long as the parents ensure their children attend the school and they don’t abuse the system i.e. they must spend the money on their children and attempt to get a job. The training restaurant provide a great meal, including the option of eating fried insects. I did give it a go but it’s not really my thing. The ice cream shake however hit the spot along with the many other shared courses including the fried vegetables, rice, chicken and pumpkin soup. From here it was a visit to the Night Market. The Siem Reap market is a happening place, likely due to the significant number of tourists here to visit Angkor Wat. Pub Street in particular was full of sound and noise. 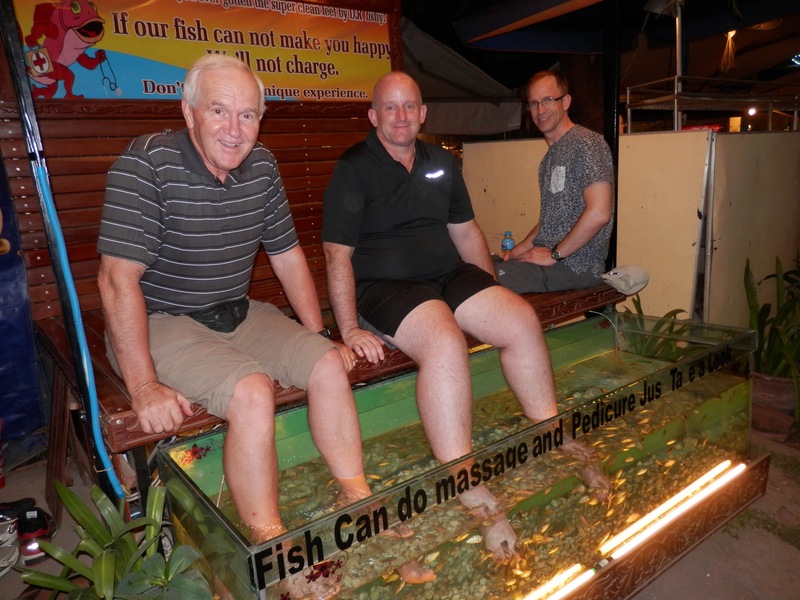 The market gave my and opportinuty to have a Fish Foot Massage. Basically the fish eat the dead flesh of your feet. There were two tanks, one with very small fish that tickled as they ate, and one with bigger fish that could cause concern if you didn’t know what they were doing. This entry was posted in Travel, World Trip 2016 and tagged Cambodia, GA-Discover-SE-Asia. Bookmark the permalink.